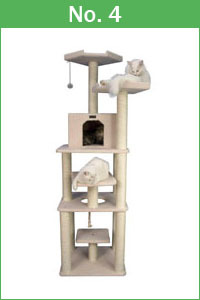 The Armarkat A7401 cat tree gets our highest ranking in our Top 10 (Standard) best cat trees. 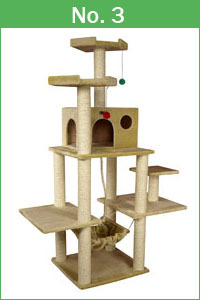 2 Condos - Condo 1 dimensions: 20"x 14"x 12" | Condo 2 dimensions: 14"x 14"x 12"
The Armarkat A7401 is one of the best cat trees in our list because it is an extremely well-designed cat tower constructed of plywood. Furthermore, plywood is stronger than compressed wood. The ladders are the only exception. Armarkat does things right by utilizing complete sisal covered posts. Sisal is an extremely stiff fiber that holds up much better than carpeting and cats love it. As a matter of fact, the A7401 utilizes sisal rope on all the vertical posts. Because of the durability and strength of sisal rope, you will not find partial sisal covered posts or carpeted posts in any of our top 10. 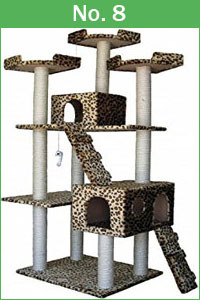 Scratching is the biggest factor for a cat tree to degrade over time in our standard cat tree category. 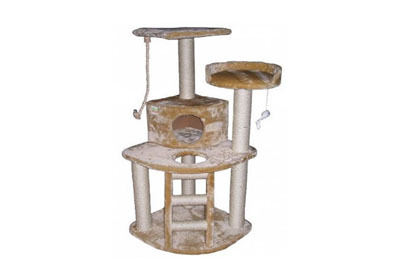 The Armarkat designed this cat tree for multiple cats (large and small). The larger base aids in balance and sturdiness when you have multiple cats drag racing up the cat tree. The 20"x 14"x 12" condo accommodates plump pussycats and the three towers are also large at 14”x 14”. Amazon and Armarkat provide a double warranty, which is another reason this tree made it into our top 10 list. 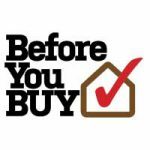 It may seem counter-intuitive but most companies do not guarantee their product when sold through a re-seller and rely only on the re-sellers warranty. Another reason this tree made our list is that the Armarkat website provides replacement parts. Regrettably, most cat trees manufacturers do not offer this customer service option because they would prefer you to reinvest in another cat tree rather than replace a worn out part. Finally yet importantly is the assembly. This unit is very easy to put together compared to other products. There are many horror stories regarding the assembly of other brands. The A7401 comes with easy to understand directions complete with pictures and lettered pieces and those that are good at assembling things, figure 30 minutes. If you are lacking much experience at the assembly, figure 60 minutes. All tools are included to assemble the A7401 cat tree. 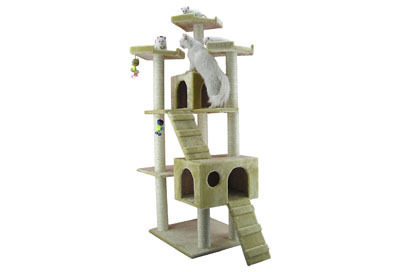 The Armarkat A7401 cat tree is well constructed and full of rest and play places for your pussycat. It is plush and built to last. Cheaper trees will degrade faster costing you more money in the end. To buy the Armarkat A7401 or compare prices from Amazon and eBay, just click on the buttons on the left side of this page. The Armarkat B7701 cat tree gets our #2 ranking for our Top 10 (Standard) best cat trees 2019. 2 Condos - Condo 1 dimensions: 20"x 14"x 13" | Condo 2 dimensions: 14"x 14"x 13"
The Armarkat B7701 is very similar to the A7401 except for a few minor differences. The B7701 is the taller slimmer brother to our #1 ranked cat tree. Construction and quality of materials are identical and I will use most of the same product review text from the A7401 because these two units are that similar. The differences are: 1) this unit is three inches taller 2) this condo is one inch taller 3) the base is two inches smaller 4) there is one ladder instead of two 5) it handles 20 lbs. more weight. Armarkat utilizes plywood for all the bases, which is denser than compressed wood. The ladder is the only exception. Armarkat goes that extra mile by covering all posts (completely) in sisal rope. In the standard price category, you want all your posts covered in sisal vs. carpet. In the premium category, manufacturers use a better grade of carpet for vertical posts. With that said, that is why all of our top 10 trees in the standard category utilize sisal. Most manufacturers in the standard category don't utilize full sisal coverings. In fact, many use a thinner sisal product because it's cheaper. The Armarkat B7701 is a great tree if you have multiple cats of all sizes. The 20"x 14"x 13" condo will accommodate plump pussycats while the three towers are also large at 14”x 14”. When you buy this tree, you get a double warranty. 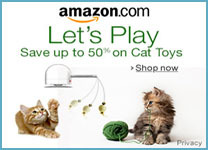 You get Armarkat's 6-month warranty and Amazon's A-Z warranty. Most cat companies do not guarantee their product when sold through a re-seller and rely only on the re-sellers warranty. Another great thing about Armarkat products is that their website provides replacement parts. Unfortunately, most cat trees manufacturers do not offer this customer service option because they would prefer you to reinvest in another cat tree rather than replace a worn out part. This unit is very easy to put together compared to other products. There are many horror stories regarding the assembly of other brands. The Armarkat B7701 comes with easy to understand directions complete with pictures and lettered pieces. Therefore, those that are good at assembling things, figure 30 minutes and if you are not great at the assembly, figure 60 minutes. All tools are included to assemble the Armarkat B7701 cat tree. The Armarkat B7701 is a little taller cat tree than our #1 ranked A7401 and the B7701 has a smaller width footprint if square footage is tight in the room the cat tree will reside. The B7701 and the A7401 are two of the best cat trees on the market. Consequently, it just comes down to height and width regarding your room size. 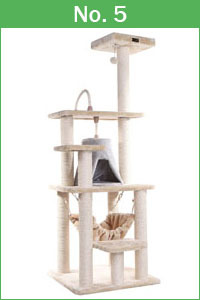 The Armarkat A7202 cat tree gets our #3 ranking in our Top 10 (Standard) best cat trees 2019. 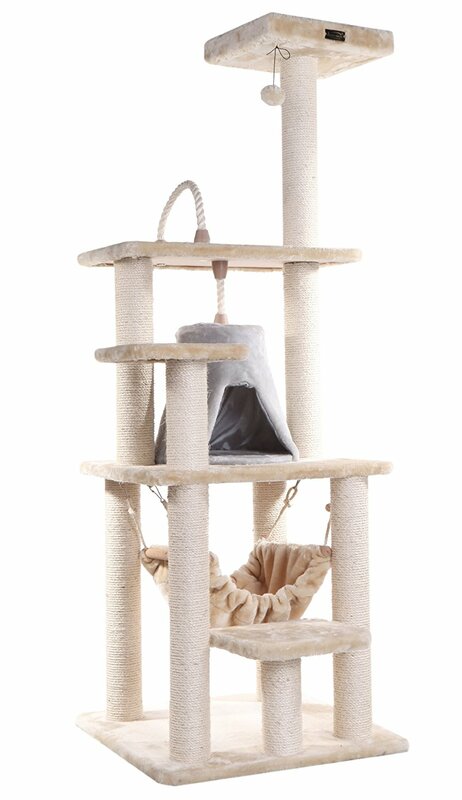 The Armarkat A7202 has a unique design with 6 tiers of cat jumping opportunities which contributed to this cat tree making our best cat trees list. I like a tree that is versatile and handles all size kitties. Consequently, the A7202 is that tree. It will handle a larger cat with the over-sized condo and the two perches larger perches at 14 x 14. With a height of 72 inches, it may be more suitable for those with lower ceilings when compared to our #1 and #2 cat trees. The bases are made of compressed wood and high-quality sisal rope covers all the vertical posts. The Armarkat A7202 is a well-suited cat tree for multiple cats of all sizes. The wider profile aids in balance and sturdiness when you have multiple cats drag racing up the cat tree. The warranty for this tree is good. You get Armarkat's 6-month warranty as well as Amazon's A-Z warranty. Most cat companies do not guarantee their product when sold through a re-seller and rely only on the re-sellers warranty. Another great thing about Armarkat products is that their website provides replacement parts. Most cat trees manufacturers do not offer this customer service option because they would prefer you to reinvest in another cat tree rather than replace a worn out part. Like all of the units in our top 10, this unit is very easy to put together. The Armarkat A7202 comes with easy to understand directions complete with pictures and lettered pieces. If you are good at assembling things, figure 30 minutes. If you are not good at assembly, figure 60 minutes. All tools are included to assemble the Armarkat A7202 cat tree. The Armarkat A7202 cat tree made our best cat trees list because it offers solid construction at a price under 100.00 with great reviews. The extra rope toy, the two hanging toys, and the hammock will add a little diversity to their play options when on the tree. 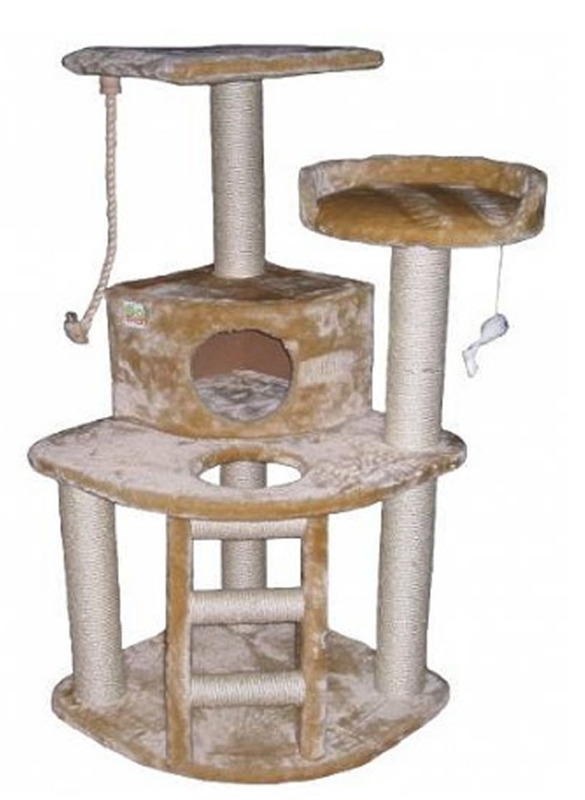 The Armarkat B7801 cat tree gets our #4 ranking in our Top 10 (Standard) best cat trees review. The Armarkat B7801 is the tallest tree in our lineup. It boasts a 78-inch height with one of the smaller bases. Therefore, if you can handle the height, this tree has a small footprint in a room. The bases are compressed wood and the 3.5-inch posts are sisal covered. The vertical posts are completely covered in a higher quality un-oiled sisal rope. 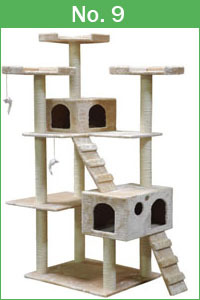 This is one of the best cat trees on the market if you have active cats that love to climb. It kind of brings the outdoors, indoors (if that makes any sense). I own two cat trees and this is one of them. I highly recommend the B7801 if you have adventurous kitties. If you are looking for a low profile cat tree that is tall and sturdy, this is the tree you are looking for. 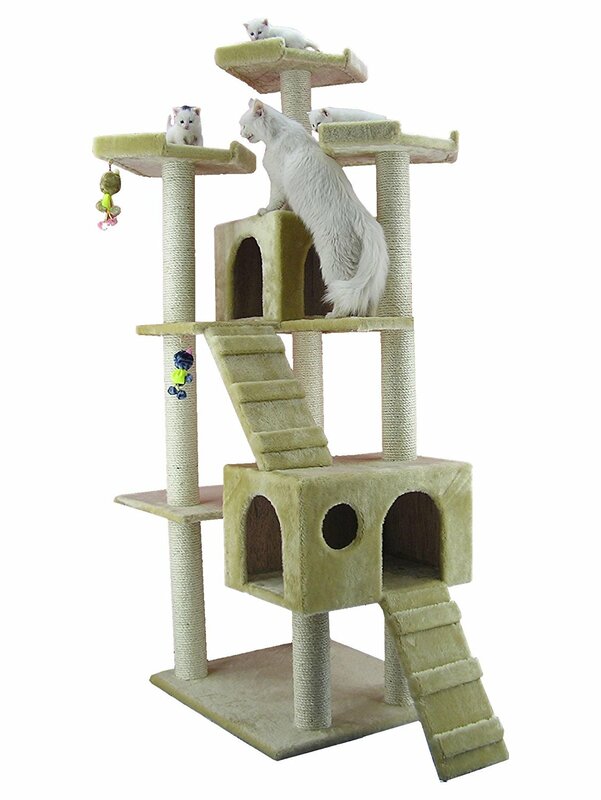 The B7801 is designed for multiple cats of all sizes but I would recommend this tree for energetic cats due to the height, the condo size, and the platform design. The upper tower may be intimidating for older cats due to its height. With that said, the perches on top of the towers are large and will accommodate the big boys. The two towers are the largest on the list coming in at 15”x 15” ensuring that pussycats will have ample room for some serious catnaps. Armarkat and Amazon team up to give you a double warranty. Most companies do not guarantee their product when sold through a re-seller and rely only on the re-sellers warranty. Another great thing about Armarkat products is that their website provides replacement parts. Most cat trees manufacturers do not offer this customer service option because they would prefer you to reinvest in another cat tree rather than replace a worn out part. This unit is easy to put together and comes with easy to understand directions complete with pictures and lettered pieces. If you are good at assembling things, figure 30 minutes. If you are lacking much experience at the assembly, figure 60 minutes. All tools are included to assemble the Armarkat B7801 cat tree. The Armarkat B7801 will be great for all cats but energetic cats that like to play hard will be most suited for this tree due to its height. Cheaper trees will cost you more money in the end. So instead of buying a new tree every year, buy a tree that will last. When something starts to wear out, Armarkat offers easy and inexpensive replacement parts will keep this tree operational for years to come. For a tree to make our best cat trees review they really have to be a top cat tree in all categories. 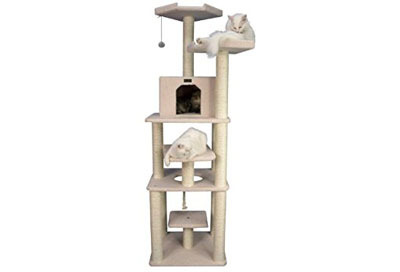 The Armarkat A6501 cat tree gets our #5 ranking in our Top 10 (Standard) best cat trees 2019. The Armarkat A6501 has a smaller footprint in height and width, which will be good if you do not need a larger tree or have limited space. The A6501 is 5 1/2 feet tall and will accommodate small to medium sizes cats. 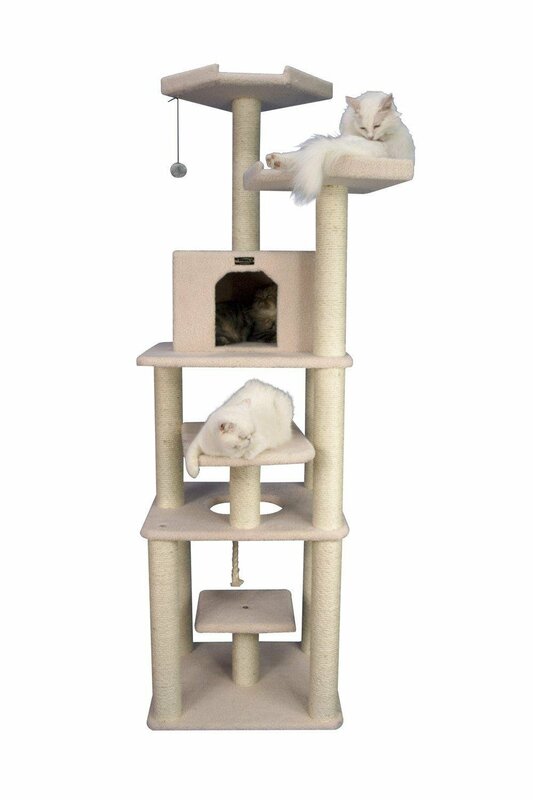 I do not see this tree being a lounge unit for two or three medium-sized cats since it only has one tower but it could work nicely as a pussycat jungle gym for the adult kitties or it would be perfect for kittens, smaller cats or a medium-sized cat. Armarkat uses compressed wood for their bases and high-quality sisal rope covers all of the vertical posts. You get an amazing double warranty when you buy this cat tree. The warranty from Armarkat is a robust 6-month warranty and you get the Amazon A-Z warranty too. Most companies do not guarantee their products when sold through a re-seller and rely only on the re-sellers warranty. Armarkat offers a dedicated website that provides replacement parts. 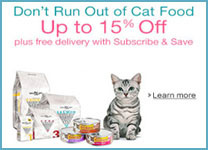 Many cat trees manufacturers do not offer this customer service option because they would prefer you to reinvest in another cat tree rather than replace a worn out part. This unit is easy to put together and comes with easy to understand directions complete with pictures and lettered pieces. For this unit, you can expect a 30-minute installation. All tools are included to assemble the Armarkat A6501 cat tree. The Armarkat A6501 cat tree will be great for kittens and will accommodate regularly sized kitties. 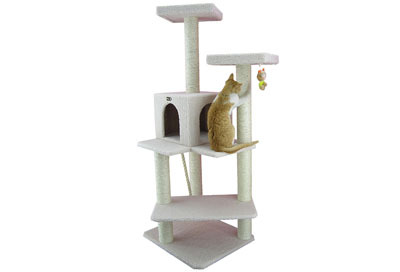 The Armarkat B5701 cat tree gets our #6 ranking in our Top 10 (Standard) best cat trees. 1 Condo - Dimensions: 15"x 14"x 12"
The Armarkat B5701 is a low profile unit that can accommodate multiple cats. I see this tree in the up to 15 lb weight zone for cats but a number of owners of this unit tell stories how their 20 lb pussycats love it. This unit utilizes compressed wood for the bases and high quality, thick sisal rope for all vertical posts. The two towers come in at 14”x 12” but you almost have a third perch if you count the angled platform above the base, which is large enough for cats to snooze on it easily. The angled platform does kind of stick out at a corner, which will take up a little extra space. You will enjoy the benefits of a double warranty. Armarkat offers a 6-month warranty and you get Amazon's A-Z warranty too. Most cat trees companies do not guarantee their product when sold through a re-seller and rely only on the re-sellers warranty. Another great thing about Armarkat products is that their website provides replacement parts. 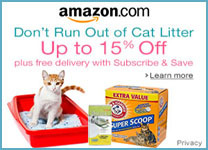 Most manufacturers do not offer this customer service option because they would prefer you to reinvest in another cat tree rather than replace a worn out part. Assembly is similar to other Armarkat trees. It is very easy to put together and comes with easy to understand directions complete with lettered pieces and pictures. Expect 30 to 45 minutes max to put this kitty castle together. All tools are included to assemble the Armarkat B5701 cat tree. The Armarkat B5701 is a nice surprise with plush fleece and set up for multiple cats. The design is perfect and the positioning of the platforms aids in easy maneuvering up and down the tree. 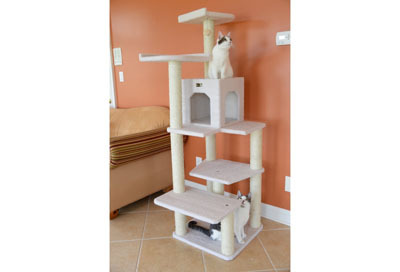 The Armarkat B6802 cat tree gets our #7 ranking in our Top 10 (Standard) best cat trees review. 1 Condo - Dimensions: 14"x 14"x 14"
The Armarkat B6802 has a nice design with large platforms that can accommodate multiple cats. I really like this design because the large steps cater to chubby kitties or older cats that may find small or odd angled platforms less desirable to jump on. The large platforms can also second as sleeping perches. Armarkat utilizes compressed wood for their bases and un-oiled cat sisal rope covers all of the vertical posts. 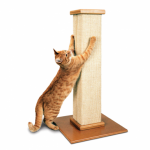 Do not settle for carpet or partial sisal scratching posts - they do not last as long in this price category. Larger cats will benefit from the 14" x 14" perches on the two towers. This tree will accommodate all sized cats, even larger pussycats but the condo might be a little tight for a big boy. 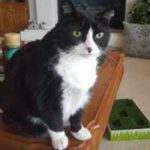 If the condos are important for your larger cats, I do recommend 1, 2, 3 8 or 9 on the top 10 list for the condos that will take care of larger kitties. You get an amazing double warranty from Armarkat (6 months) and Amazon. Most cat trees companies do not guarantee their product when sold through a re-seller and rely only on the re-sellers warranty. As mentioned earlier, Armarkat provides replacement parts through a dedicated website. Most cat trees manufacturers do not offer this customer service option because they would prefer you to reinvest in another cat tree rather than replace a worn out part. This unit is very easy to put together and comes with easy to understand directions complete with pictures and lettered pieces. You are looking at 30 to 45 minutes to put this tree together. All tools are included to assemble the Armarkat B6802 cat tree. The Armarkat B6802 made the best cat trees review for many reasons. The B6802 tells a story online. Any product that has 1000's of consumer's reviews will always tell a story (either a good or a bad story). This cat trees review history tells a good story. The unit is ranked high (4.6 / 5) with over 2000 reviews just on Amazon alone. 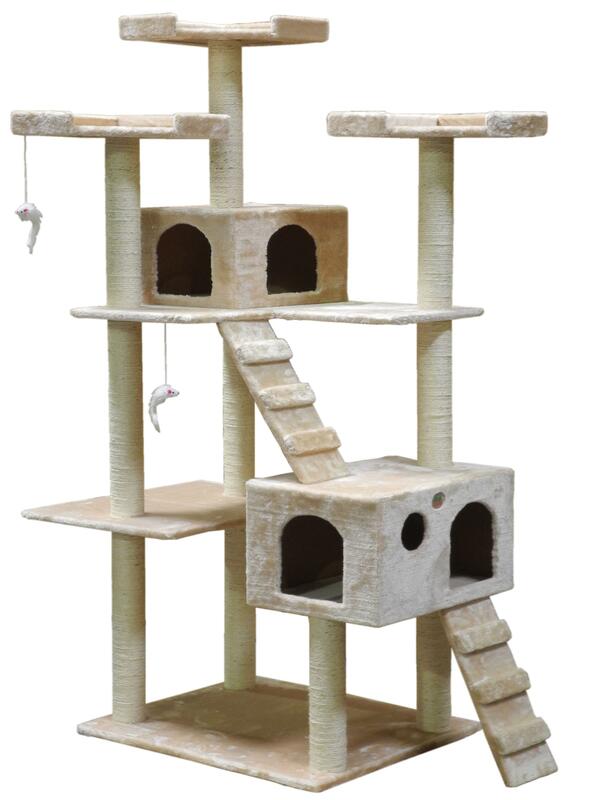 The Go Pet Club F2038 cat tree gets our #8 ranking in our Top 10 (Standard) best cat trees 2019. 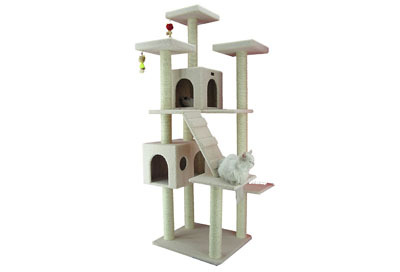 The Go Pet Club F2038 is a larger sized cat tree with lots of room for lounging and playing. It's a visually fun piece fully covered in faux leopard fur with the vertical posts completely covered in cat sisal rope. The end result with this tree is a jungle gym for your kitties. In particular, you have hanging toys, ladders, and towers for your enjoyment. You really do get a lot of cat tree for your money with the F2038. The Go Pet Club F2038 utilizes a design that accommodates multiple cats of all sizes. The 20"W x 15"L x 11.5"H condo will accommodate larger cats. The three towers are a nice size coming in at 13.5" W x 13.5" L x 2.5" H.
The Amazon A-Z warranty program covers the warranty for this unit. As mentioned, Go Pet Club does provide replacement parts. It's not as easy as Armarkat's replacement parts option which consists of a dedicated parts website. With Go Pet Club, you email them your model number and they will email you replacement parts prices. As stated earlier, most cat trees manufacturers do not offer replacement parts; most would prefer you to reinvest in another cat tree rather than repair the one you have. 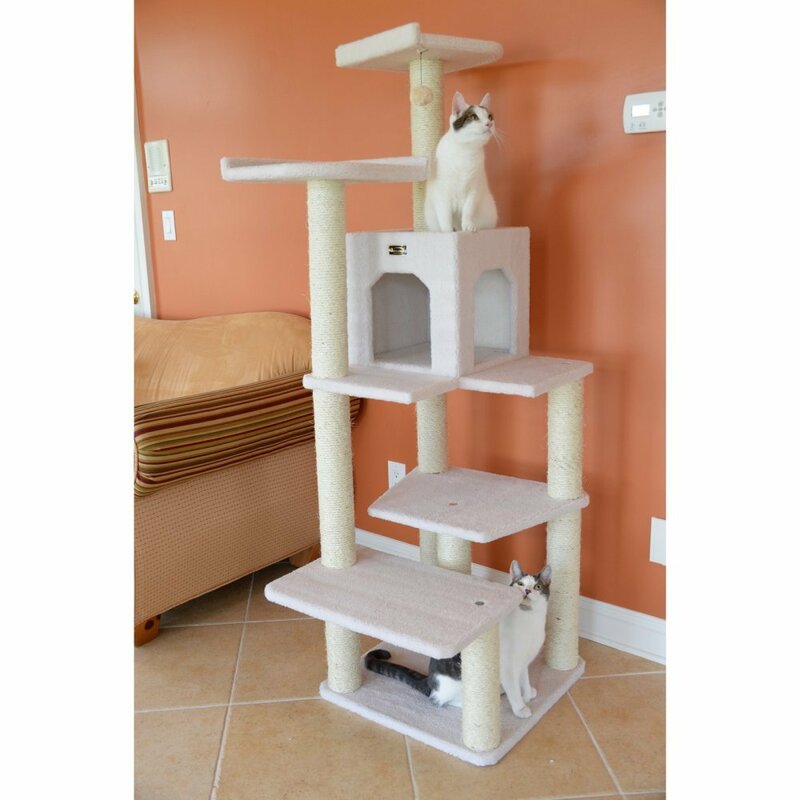 Most Go Pet Club F2038 and Go Pet Club F2040 owners have said that this cat tree is sturdy with no chance of tipping over even with multiple cats. Some owners have mentioned that with larger cats jumping from the top, the towers can wobble but with no chance of tipping over. This unit is also very simple to put together compared to other products. The general estimate is 45 minutes. The F2038 comes with easy to understand directions complete with pictures. There are no numbers or letters on the parts so you are just going by the pictures. All tools are included to assemble the Go Pet Club F2038 cat tree. The Go Pet Club F2038 is similar to the Armarkat A7401 in width but two inches shorter, which would be good if room height is an issue. It's a good cat tree for multiple cats and can claim the prize as one of the most reviewed cat trees out there with over 5000 reviews for its sister cat tree the F2040 coming in at 4.6 / 5 and 4.7 / 5 customer reviews. The only difference between the F2040 and the F2038 is the pattern on the faux fur. The F2040 is beige and the F2038 has a leopard print. 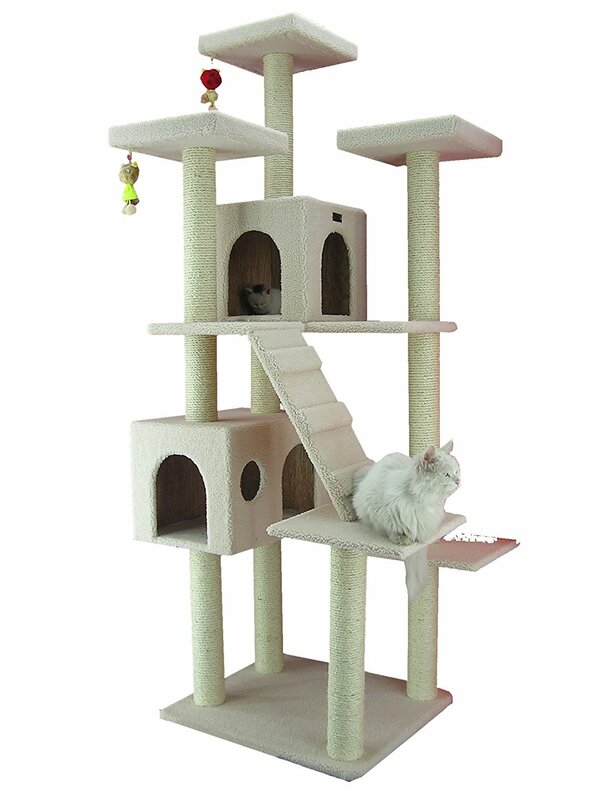 A highly sought after cat tree that has been tested by 1000's of cat tree customers. 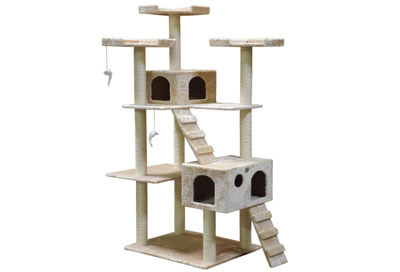 The Go Pet Club F2040 cat tree gets our #9 ranking for best cat trees in the standard category. The Go Pet Club F2040 is identical to the F2038 Leopard except it is beige. Considering this, the F2040 review will be identical to the Go Pet Club F2038 Leopard review. You may wonder why two similar units would be on our top list. Answer; both units separately outperformed the competition based on the review criteria. 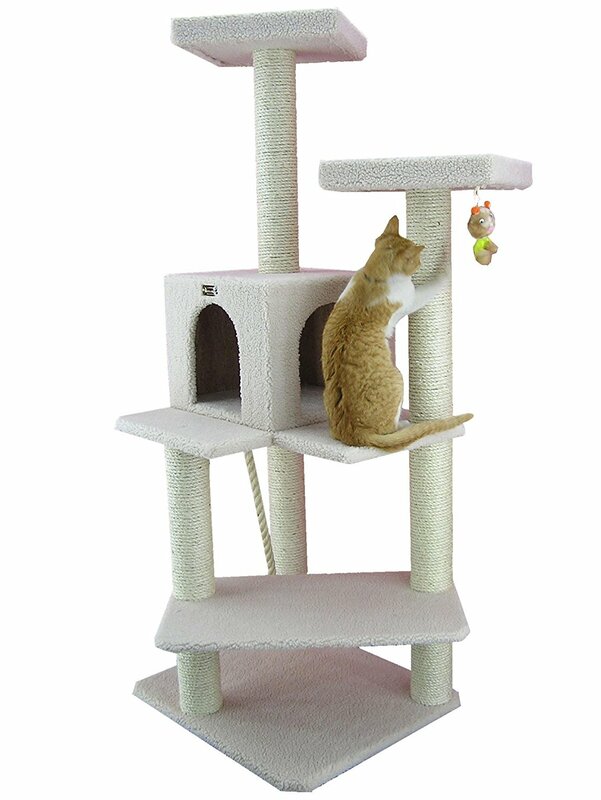 The Go Pet Club F2040 is a larger sized cat tree with lots of room for lounging. The F2040 utilizes a faux fur covering and they go that extra mile by covering all the posts with cat sisal rope. The Go Pet Club F2040 has a great design for multiple cats of all sizes. The 20"W x 15"L x 11.5"H condo will accommodate larger cats. The three towers are a nice size coming in at 13.5"W x 13.5"L x 2.5"H.
Amazon guarantees the unit through their A-Z warranty program. As mentioned, Go Pet Club does provide replacement parts. With Go Pet Club, you email them your model number and they will email you replacement parts prices. As stated earlier, many cat trees manufacturers do not offer replacement parts; most would prefer you to reinvest in another cat tree rather than repair the one you have. 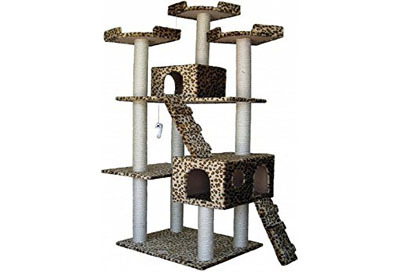 Most Go Pet Club F2040 and Go Pet Club F2038 owners have stated that this cat tree is sturdy enough with no chance of tipping over even with multiple cats. With that said, some have mentioned that with larger cats jumping from the top towers can wobble but with no chance of tipping over. This unit is simple to put together compared to other products. The general estimate is 30 - 45 minutes. The F2040 comes with easy to understand directions with pictures. There are no numbers or letters on the parts so you are just going by the pictures. All tools are included to assemble the Go Pet Club F2040 cat tree. The Go Pet Club F2040 has been around for a long time and withstood the test of time regarding consumer reviews. It is one of the most reviewed cat trees on the market. The design is perfect for all sized kitties - even the big boys. 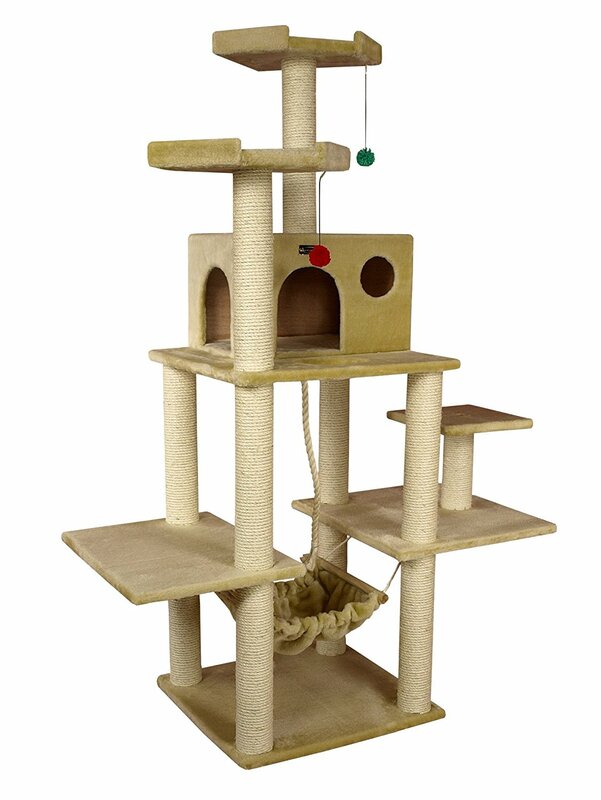 The Go Pet Club F08 cat tree gets our #10 ranking in our Top 10 (Standard) best cat trees review. The Go Pet Club F08 is the perfect cat tree if you need a low profile cat tree that will not take up a lot of space. Yes, it will accommodate larger cats too but for my money, the condo is a little small for the big boys. I recommend this cat for average sized cats. Some buyers have determined that the ladder with the hole is not necessary and their cats were not interested in going through the hole. So they switched out the platforms putting the base with the hole on the bottom and eliminating the ladder. End result; cats got another large sleeping area. 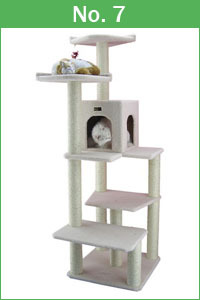 The Go Pet Club F08 cat tree can accommodate multiple cats of all sizes. Consequently, changing the platforms (as mentioned above) gives larger kitties another comfortable spot to lounge. The two towers are a nice size coming in at 14 inches in diameter with a 3.5" edge, which I like. The second tower is 14 x 14 inches, which is a nice size too. One more thing, Go Pet Club completely covers the vertical posts in cat sisal rope. This unit has a warranty on Amazons A-Z warranty. As mentioned, Go Pet Club does provide replacement parts. Here is how it works; Go Pet Club asks you to email them your model number and they will email you back a parts diagram with prices. 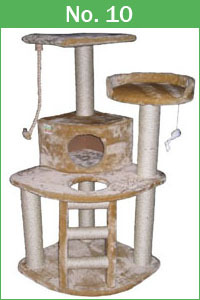 As stated above, many cat trees manufacturers do not offer replacement parts; most would prefer you reinvest in another cat tree rather than repair the one you have. This unit is also easy to put together and should take no longer than 30 minutes. The F08 comes with easy to understand directions complete with pictures. There are no numbers or letters on the parts so you are just going by the pictures. All tools are included to assemble the Go Pet Club F08 cat tree. 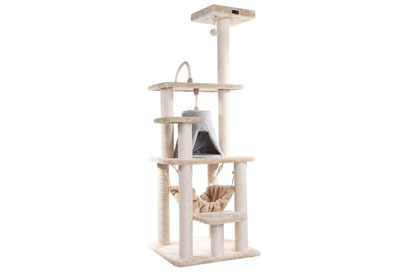 The Go Pet Club F08 is a good buy if you are looking for a smaller low profile cat tree that has complete sisal posts and will not break the bank. Our review process is designed to cut through the clutter and share the best cat trees available based on the criteria below. In most consumer markets, one to three manufacturers dominate their respective industries. That is no exception in the cat tree manufacturing space. 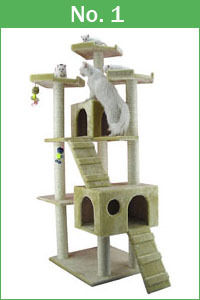 We have found that a small number of cat trees manufactures rise to the top in design and quality; while most of the other manufacturers try to copy their designs using cheaper materials. We reviewed all the major manufacturers and most of the secondary players and compiled that data against our standard cat tree criterion model. Please take a moment and read through our review process information. The more you understand the review process, the more you'll appreciate the outcome. Aleko, Armarkat, bcp, best pets, EliteField, First Well, Go Pet Club, Iris, Kitty Mansions, Lazy Moon, Merax, Midwest Homes for Pets, Molly and Friends, New Cat Condos, Ollieroo, Oxgord, Pawhut, Songmics, Trixie, Vida, Yaheetech and Party Saving to name a few of the major brands we reviewed. The reviews are based on many data points; for example, we collect data from the cat tree manufactures. Then compiled and combined that data with customer reviews, warranty, replacement parts and quality of materials information. We process that information through our criterion model, which produces the results. 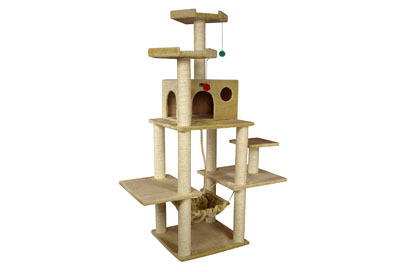 As a result, the best cat trees are showcased in our TOP 10 Best Cat Trees Review in the standard category. The criteria points 1-5 (see below) are important points when purchasing a cat tree that will last and hold up to constant scratching and climbing. 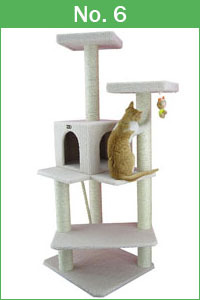 Taller cat trees (in this price category) will wobble a little when cats (especially larger cats) are running up & down the tree and jump from the top towers. Quality workmanship and materials will ensure a sturdier unit under these conditions. 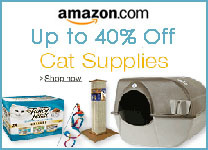 There are many companies producing cat trees and thousands of cat trees or condos in this price category. 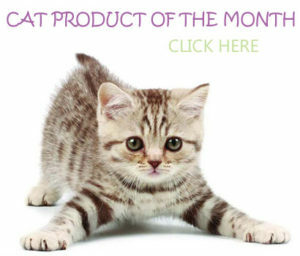 There are only two companies (Armarkat & Go Pet Club) products met our criteria. 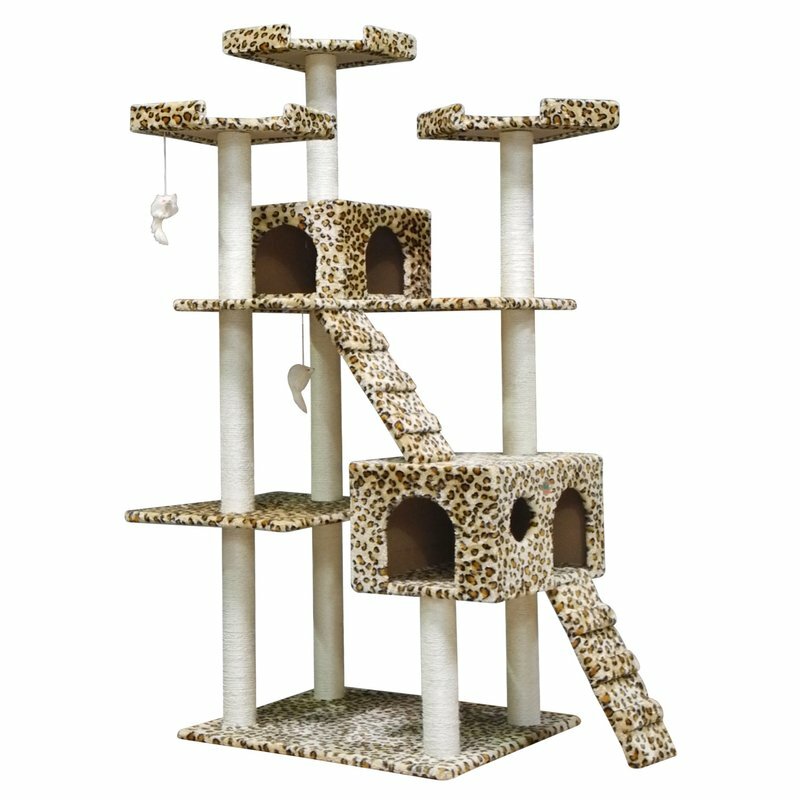 Ultimately, these two companies filled our Top 10 Best Cat Trees Review in this standard category. ⇒ After compiling the data from all of the cat tree manufacturers on our list, we were a little surprised that only two manufacturers met the criteria. We expected to have more variety of manufactures in the results. ⇒ If optics were our main concern we would have lowered the requirements in our criteria model. Making this adjustment would have allowed for more variety of manufacturers and make our review look more colorful. ⇒ Our concern was that it looked like we had some kind of a financial relationship with the two manufacturers in our TOP 10 list. We do not have financial relationships with any cat tree manufactures. ⇒ The bottom line; the cat trees that made our TOP 10 best cat trees list are the best in the (standard) cat tree price category based on criteria that should be important to every cat owner. ⇒ In my opinion, it looks like most review sites pick 10 trees they like and then they compare the trees against each other. Anyone can randomly pick 10 trees and then compare those trees but that is not a real review. 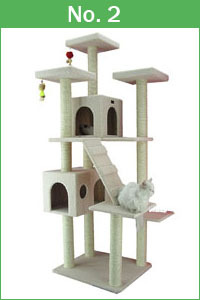 You have to compare all cat trees on the market and have a defined criteria model. We take a science-based approach that looks at all trees. Is our criteria was too strict.....we don't think so. 1) In this price category, you need complete sisal covered posts (not partial sisal). As a result, the carpet used on partial sisal covered posts in this price category will not hold up to constant wear and tear as well as cat sisal rope. It's more expensive and labor intensive to cover posts in sisal. 2) In addition, you need easy access to replacement parts so when something does give out, you do not have to buy a new cat tree. 3) Furthermore, cat trees with low consumer feedback and scores lower than 4.5 out of 5 did not make the grade. 4) We required a minimum of 250 reviews with most of our top 10 trees in the 1000 + reviews category. 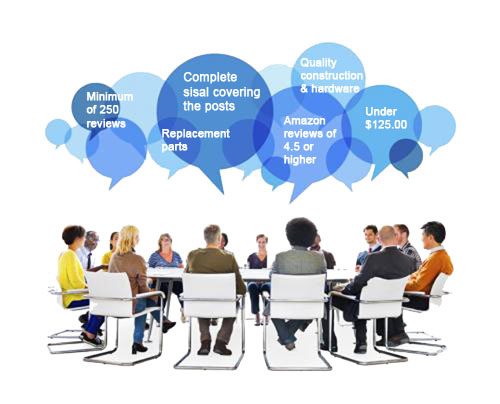 Our reasoning is you need a least 250 reviews to see what weaknesses start to surface. If we were just interested in optics, we would have lowered the criteria bar so we could have added additional manufacturers to the top 10 Best Cat Trees Review. We take our reviews very serious and do not want to change the criteria model just so the results will look more diverse. The results are what they are and we hope it helps you in your quest for the best cat tree in this price category. All of the trees that made it into our best cat trees review list have replacement parts available. Replacement parts were one of many variables that determined our top 10 best cat trees list. A lot of cat tree manufacturers want you to buy a new cat tree when your scratching post columns start to wear down. Not a good deal for the consumer. If you do have cat trees posts starting to wear and you don't want to buy the replacement post then we suggest that you replace the sisal rope yourself. It's not that difficult. Here's a link to an article showing you how to re-sisal your post with pictures ( Click Here).